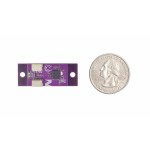 The BNO055 is the ideal orientation solution with low overhead. What that means is that the computational cost is incredibly low for such a high-powered sensor. So, if you have a project consisting of peripherals that demand more computational power, the BNO055 is a great IMU to incorporate. 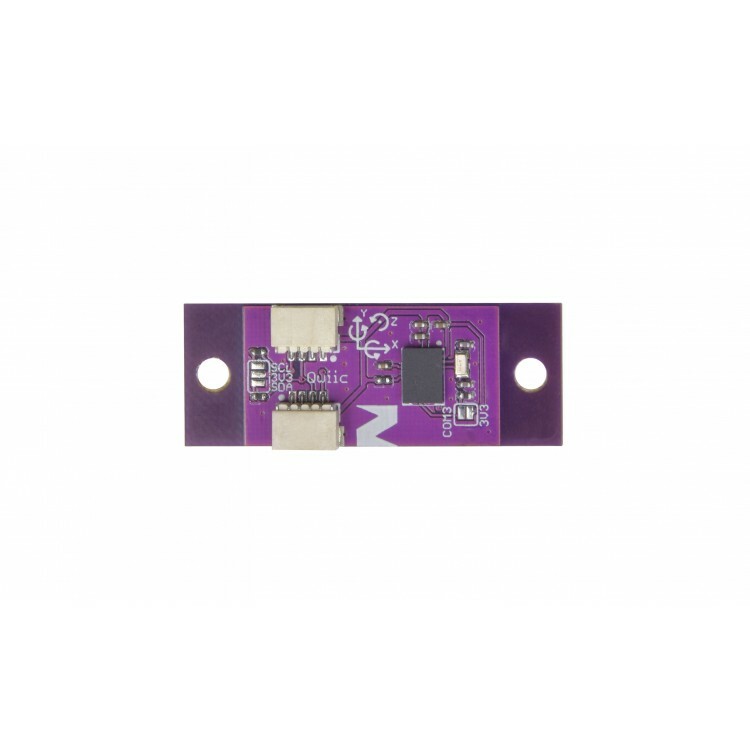 It provides Absolute Orientation by integrating 3 different sensors: a 3-axis 14-bit accelerometer, 3-axis 16-bit gyroscope, and a 3-axis magnetometer; and outputting the fused data in usable values. 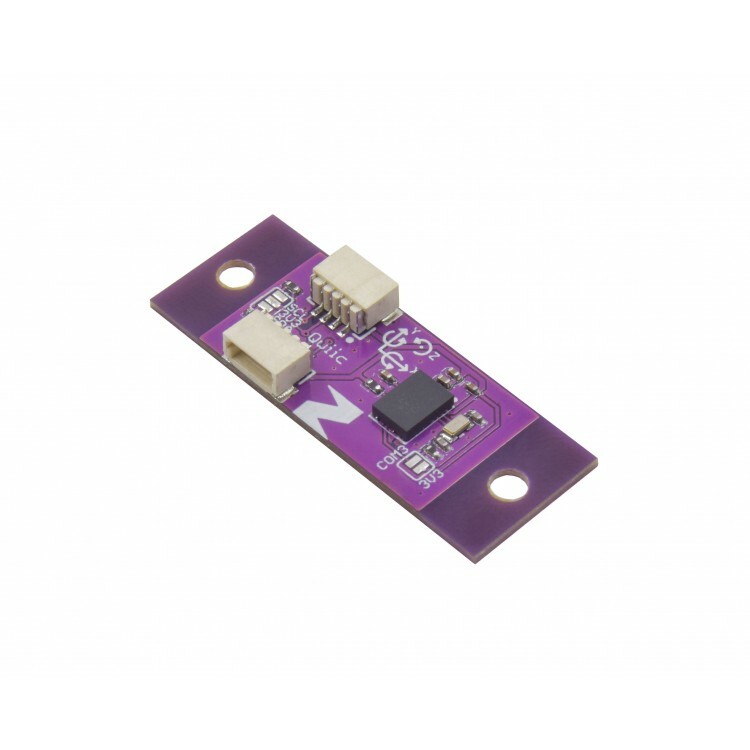 We’ve made this board small enough to be suitable for use in advanced wearables and other space-sensitive projects. 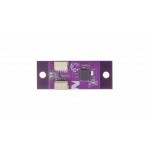 It’s been specifically designed for use in projects incorporating Qwiic, and so breaks out only the interrupt pin. 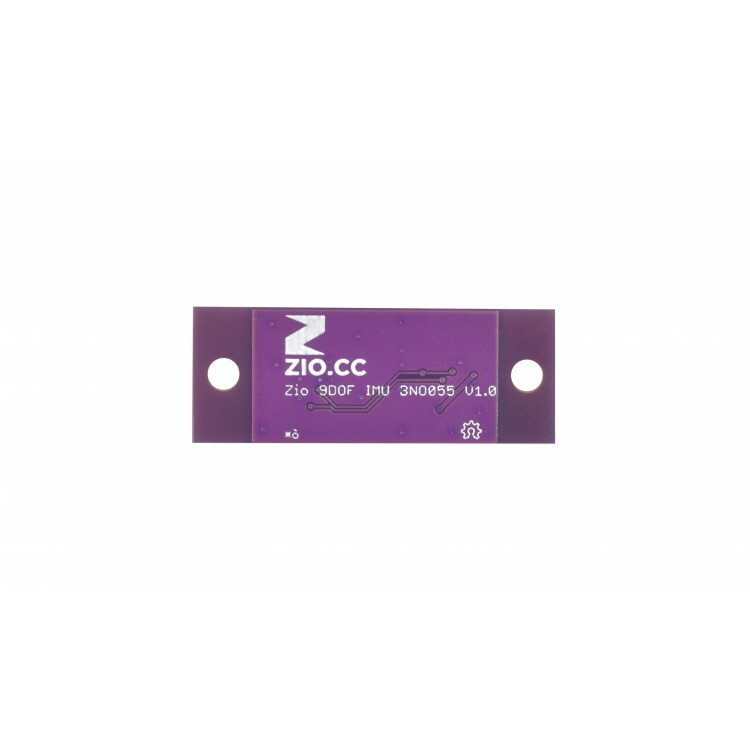 However, if you’d like to use it in a non-Qwiic project, just use one of our Qwiic adapters, or you can just take a Qwiic cable, cut off one end, and solder the wire ends to the I2C pins of whatever you want. Bosch’s smart 9DOF IMU will take raw sensor data and stream out meaningful results at up to 100Hz; you are saved the headache of sifting through algorithms with different levels of accuracy and complexity (and believe you me, they get pretty durned complex). And with the available libraries and example code, you can get it working with your project in a matter of minutes. There is a wide variety of applications in which this board can be used, such as AR, navigation, gaming, fitness, context awareness (think: robotics and mobile devices), and more. The IDEAL orientation solution. Measure Absolute Orientation in seconds, even with peripherals that are also demanding high computational power. Qwiic-enabled, it features 2 Qwiic connectors for fast hook-ups and small enough for advanced wearables and other space-sensitive projects.